CarGurus has 15,577 nationwide Corvette listings starting at $3,450. The 2016 Chevrolet Corvette Stingray is the best American sports car on the road thanks to supreme performance, futuristic (yet nostalgic) styling, and its significantly updated interior. The 2016 Chevrolet Corvette is the kind of car we'll wish we had purchased in an era we know won't last. Its updated interior and stop-traffic good looks are surpassed only by the car's blinding performance. When equipped with optional cooling, adaptive suspension, and bigger brakes, the Corvette can seriously play with cars that cost three times as much. The 2016 Chevrolet Corvette Stingray is an iconic American sports car, thanks to its unshakable faith in sinuous curves, a pushrod V8, and its heritage name. The coupe and convertible—both unmistakably low and loud—shook off many of their lazy cruiser curves and regrettable buckets of yesteryear for a sharper, more European-tackling iteration of the ‘Vette. Now in its third year of a complete redesign, the Corvette is still offered in a wide spectrum of flavors. The good news is that a base, 1LT removable hardtop coupe still sports the same wide shoulders, narrow waist, generous hips, and scandalous performance as a convertible 3LT with Performance Package that costs fully $20,000 more. Chevrolet changed little on the 2016 Corvette. The headlining change for this year is Magnetic Ride Control separating from the Z51 Performance Package and offered on every trim. 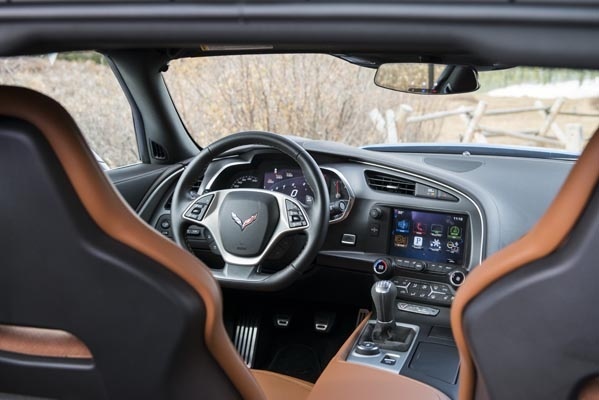 Other, minor improvements include a chunky, leather-wrapped, flat-bottomed steering wheel across the Corvette lineup and two new exterior colors, including Corvette Racing Yellow and Long Beach Red. The rest may as well be academic. The Corvette road diverges first between coupe and convertible, but doesn’t stray far for either. Both models come equipped in 1LT, 2LT, and 3LT packages that increase creature comforts and hides inside. For example, 2LT cars offer heated and ventilated seats, curb-view cameras, Bose audio, and a heads-up, windshield projection display. The 3LT package adds leather surfaces everywhere, Napa leather seating, navigation, and the Performance Data Recorder as standard. All trims can add the Z51 Performance Package that includes bigger brakes, dry sump lubrication, an electronic limited-slip differential, improved cooling, and summer tires. The Corvette employs a lusty 6.2-liter, pushrod V8 lump up front and lusty revs in the back to whet buyers’ appetites for its mind-altering performance. The Corvette can consistently run up to 60 mph in under 4 seconds, but that’s not its best party trick: Around the car’s famous motivation is a suspension that can actually make good with the 455 available horses and 460 lb-ft of torque bomb headed to the rear wheels. But more on that later. 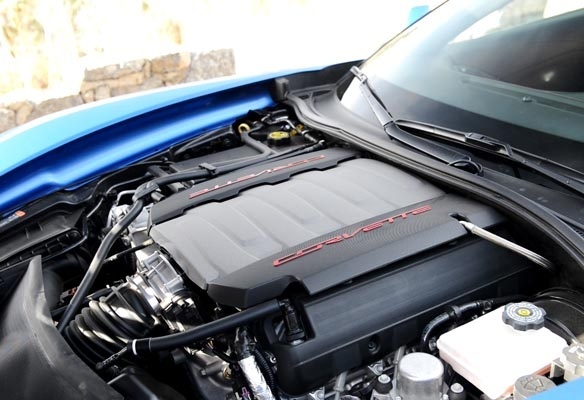 Like most Corvettes, power comes on early and low from a supple torque band. There’s enough pull in every gear to short-shift nearly every cog, save the incredibly tall 7th gear that’s designed for highway cruising. Want proof? In daily drives, engineers added a gate to the manual box that’ll gently force you to shift from 1st gear to 4th gear in daily drives to keep fuel economy reasonable. It’s even fairly easy to take off in 4th gear anyway. The 7-speed manual box is crisp, albeit a little cramped. Predictably, the gears come quick and furiously when you have 460 horsepower in the right pedal, but the Corvette’s comfortable short throws delay the inevitable tennis elbow you’ll develop going through gears in an afternoon. Rev-matching downshifts, handled by the car automatically, can be enabled if you’re looking to feel like a hero. 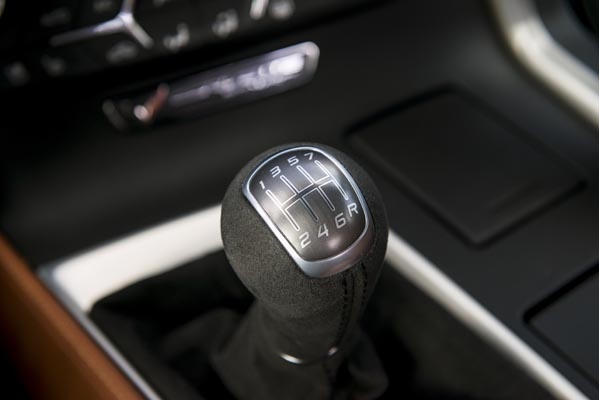 There’s little to no penalty for opting for the 8-speed autobox over the 7-speed manual transmission. 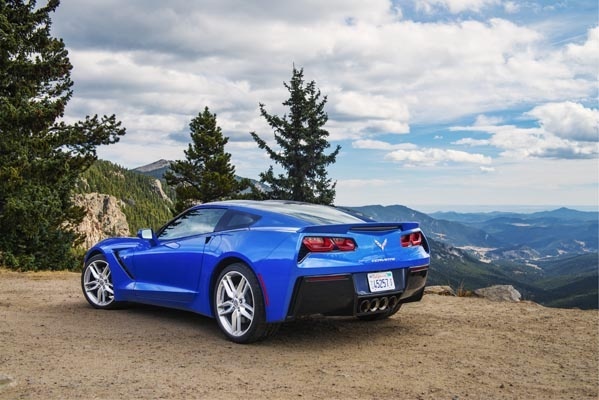 That automatic transmission, developed by GM, is wonderfully adept at keeping the Corvette in its sweet spot during canyon drives—even on the track. For pedestrian drivers like you and me, the Corvette is confidently overpowered and mildly savage, without being raucous. There isn’t a huge benefit to run the motor up to 6,000 rpm everywhere, other than setting off car alarms, because all the fun happens lower in the power band. If you are tracking your Corvette—and I highly suggest you do, at least once—it’s comforting to know that the herculean powertrain is paired with equally herculean grip. The Corvette Stingray compromises some comfort features for your tacit agreement that it’s a more serious speed machine this time around. Massively wide, 285-millimeter tires wrapped around 20-inch wheels in the rear don’t project “road comfort” on approach. Even after starting the car up, the Corvette’s “Touring” and “Eco” modes can’t sedate the V8’s appetite for more revs, faster. Having said all that, the Corvette can settle with equal parts technology and self-restraint. The aforementioned driving modes help deaden the fun pedal and steering to an easy pace, suitable for Sunday drives. Although the Corvette sports two seats, it’s fairly clear the car was made for one. All the car’s controls are angled toward the driver, with a pillar between the passenger and infotainment system that’s a not-so-subtle reminder to keep hands and feet away. The passenger even has his or her own climate controls, placed to their right, far away from the center stack. The Corvette sports 15 cubic feet of available cargo room, although less of that space is actually usable thanks to the heavily sloping rear window and proportions. With the removable hardtop stowed in the trunk, that usable space dwindles to a backpack-size area underneath the roof. Nonetheless, with the roof on, the back is perfectly sized for a weekend trip for two people. On the road, the Corvette conveys a fair amount of noise through the cabin. Whether high exhaust revs (on purpose) or low tire drones (not on purpose), the noise is a fair trade for lightweight materials and supreme grip beyond 1g. Massive 4-piston calipers arrest motion with alarming fun. The brake pedal is progressive and reassuring; in hard stops the pedal presses back and conveys immediacy in its braking force. When equipped with the Z51 package, the Corvette Stingray sports 13.6-inch rotors up front and 13.3-inch rotors in back (12.6- and 13.3-inch rotors front and rear as standard). Covering each corner is Chevrolet’s Magnetic Ride Control, which has been decoupled from the $5,000 performance upgrade and stands alone as a $1,795 addition. Although the Corvette sports an ideal 50-50 weight distribution, the optional adaptive suspension quickly settles the car into a more neutral position, waiting for more. More aggressive drivers can wring more out of the Corvette’s competent chassis, but there’s no monster hiding anymore—the old Corvette’s massive oversteer and rubbery suspension are things of the past. The Corvette’s interior may get short shrift when it comes to talk about the performance coupe, and that’s a shame. The interior has been massively updated since the last generation, and this year’s car is just as comfortable inside. Smooth buckets provide just enough bolsters to keep drivers and passengers planted firmly between the Corvette’s thin skins without spilling out on canyon corners. The cockpit and controls are skewed heavily toward the driver. 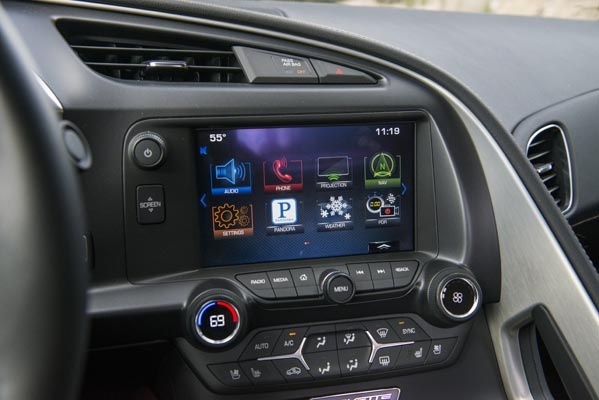 Dual, 8-inch screens provide most of the car’s vital information and entertainment options. In front of the driver, the multifunction display relays multiple car temperatures, rear differential slip, navigation, entertainment, and redundant speed info. For entertainment, the Corvette is equipped with the latest generation Chevrolet MyLink system, which includes phone, audio, and navigation (when equipped) information. The system is bright and easy to use and comes with Apple’s CarPlay this year, with Android Auto to follow later. The Corvette also integrates OnStar, its telematics-based system that can offer turn-by-turn directions, vehicle information, and emergency assistance. The basic OnStar system (remote start/stop, vehicle diagnostics, maintenance notifications) is free for new buyers for 5 years. Additional OnStar features, such as navigation and stolen vehicle assistance, are complimentary for 6 months. The Chevrolet Corvette has not been rated by the National Highway Traffic Safety Administration nor the Insurance Institute for Highway Safety. The Corvette comes standard with 4 airbags, including side-impact airbags and a protective cell—even on the convertible. Four-wheel antilock brakes complement automatic seat-belt pretensioners. The Corvette also features mandatory, electronic stability control. Visibility out of the Corvette is predictably limited due to the car’s low-slung stature and small windows. In higher trims, the car features front- and rear-facing cameras to assist when parking and backing out. When considered among its competition, the Corvette clocks in as the sports car that offers the most bang for its buck—comparable Porsches can run up to $20,000 more. Starting at $55,400, the Corvette is priced among many compact roadsters despite delivering full V8 power. The Corvette, in any guise, represents a significant amount of performance and design for a relatively small outlay. After its initial investment, however, the Corvette can get pricey in a hurry. The Z51 package costs $5,000 and may be optional for some, but its good looks and all-around performance will be tempting for many. Add the adaptive suspension, some cameras, and a few interior perks, and the Corvette can run up to $70,000 easily—but not much further. Only the uber-fast, uber-performance Z06 tickles six figures, and the base Corvette can’t easily reach upper-class money. With a thirsty V8 lump up front, mildly effective cylinder deactivation, and an infectiously fun throttle to stamp, expect to frequently fill its 18-gallon tank with premium fuel. But we’re guessing it’ll be worth it. 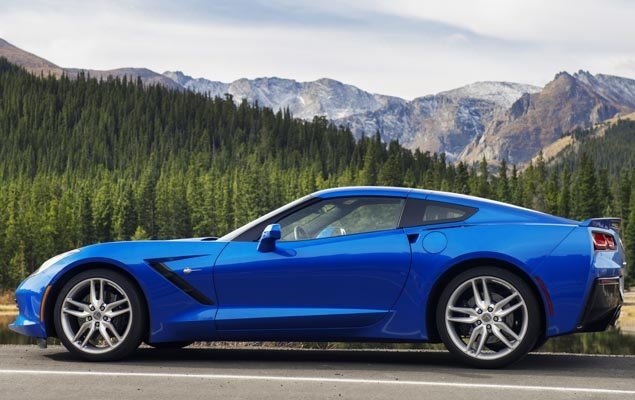 What's your take on the 2016 Chevrolet Corvette? Joseph My C7 is the third, and most impressive Corvette I have owned since buying my first, a 1999 C5. Incredible handling, more horse power, and more sure footed, the C7 requires my undivided attention (which I give willingly) while driving. Yes, it's a two passenger vehicle, but admiringly the cockpit is really designed for the driver. Parking this one right next to the C5, which I still have. Keith Keith, here. 2016 Base Stingray. Just digging it. Ticks all the boxes. Great ride and overall driving experience. Seeing the long fenders in front enhances the roadster vibe for me--just love that aspect. Very pleased with my new Stingray. Users ranked 2016 Chevrolet Corvette against other cars which they drove/owned. Each ranking was based on 9 categories. Here is the summary of top rankings. 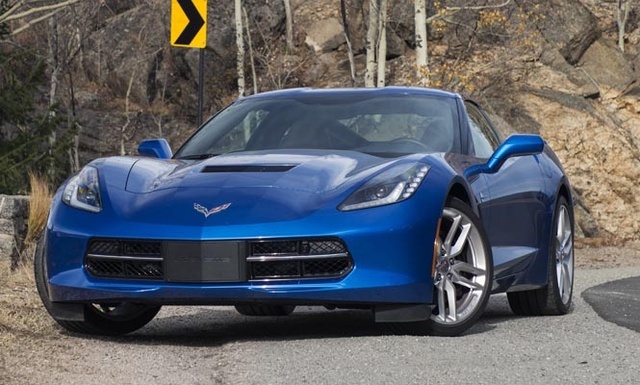 Have you driven a 2016 Chevrolet Corvette? Seller And I Have Agreed On A Price For His Car. Now What?